Back when I was furnishing the minimalist apartment in St. Louis, I was mindful of the fact that one day I would have to move. That day has come as Maureen’s semester ended mid-December, and we are headed back to Colorado for the extended holidays. Having only the barebones amount of furniture and accoutrements meant packing up the whole apartment was rather easy. 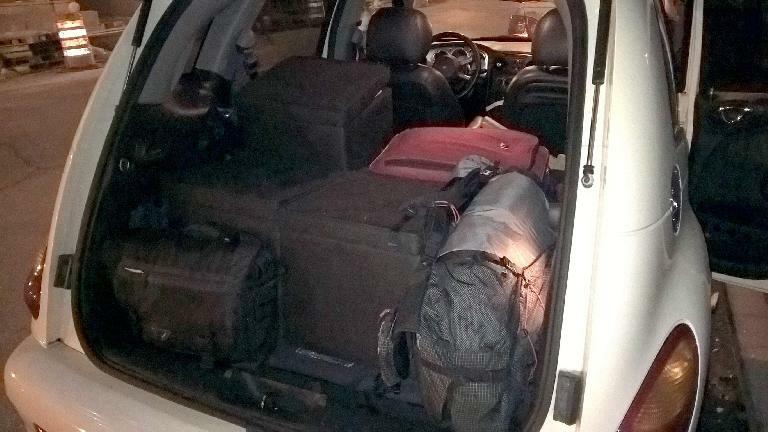 In fact, I was able to do so the afternoon before checkout—and load everything into the PT Cruiser—in about one hour. 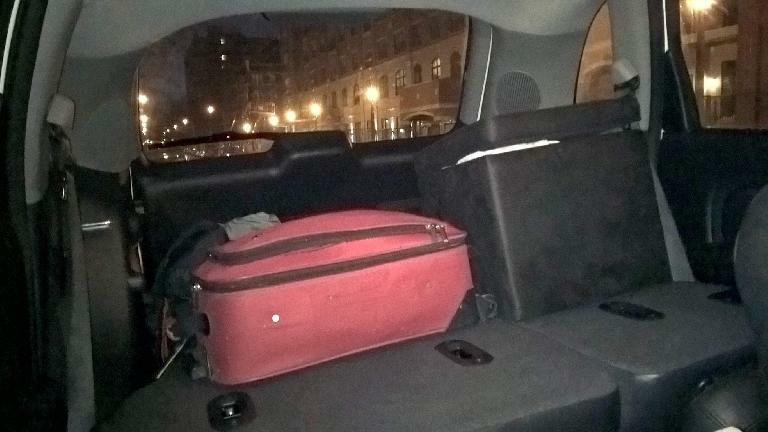 Everything easily fit within the car, especially since I was able to stash and carry most items (linens, kitchen utensils, left-over packaged food) within the three black ottomans that comprised over half of my furniture. The butterfly chair and tray table easily folded up, and the inflatable twin-size bed packed down to the size of a small duffel bag. There was actually a lot of room left for a few of Maureen’s items, including a large suitcase she brought back. With it all packed, I could easily see out of the windows indicating that the car was only stuffed to about 50% capacity. 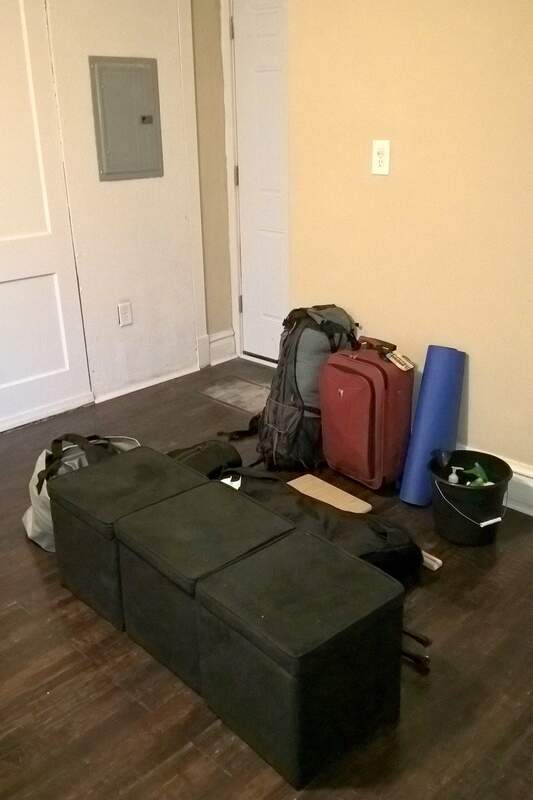 I haven’t quite figured out exactly when I’ll be returning to St. Louis or where I’ll be staying, but if I cannot find a furnished short-term sublet or apartment yet again, there is always the option of simply driving back with all this stuff.